Carolyn is my GIRL! I found her quite early on in my blogging adventures and from that very first package of a holographic smorgasbord, I was hooked! After I finished telling her about how much I abso-frickin-lutely LOVED her polishes and gushed and drooled and gasped and moaned, we got to know each other a little better! And along with our love of all things holographic, we share a love for cute emoticons, good Indian food and her mom! LOL! Hiiiiii, Helen!!!! 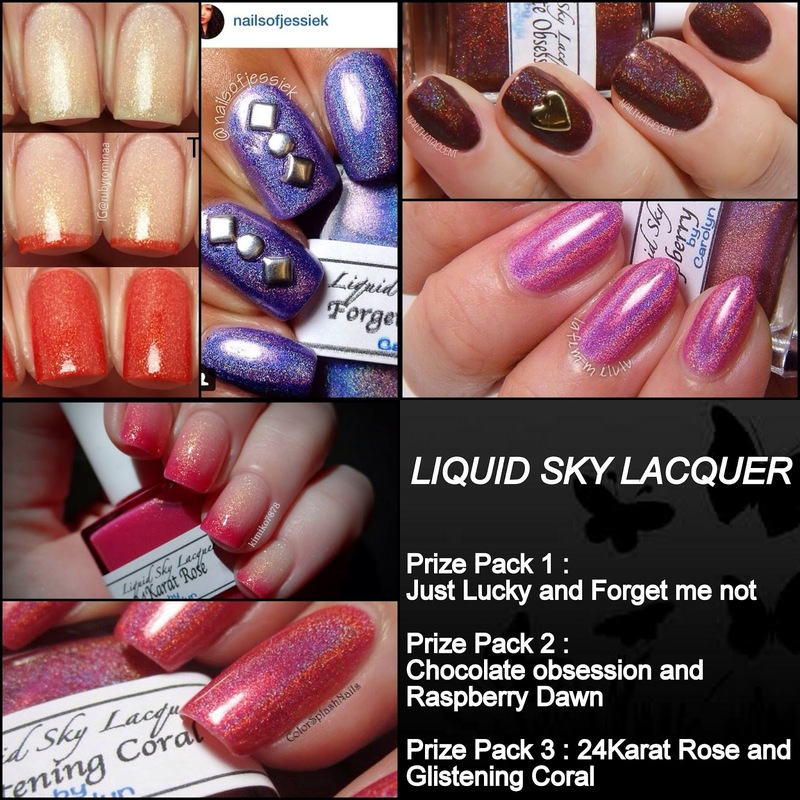 <3 I'm so excited to present to you today's giveaway with the fabulous Carolyn of Liquid Sky Lacquer! Take a look! !